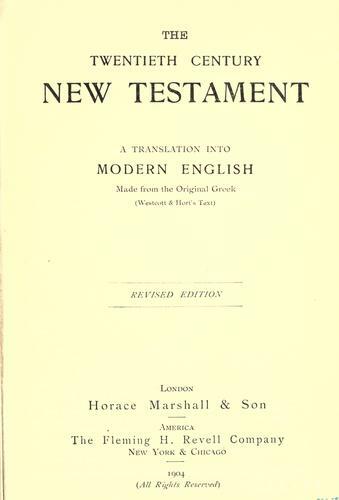 1 edition of The twentieth century New Testament found in the catalog. Add another edition? 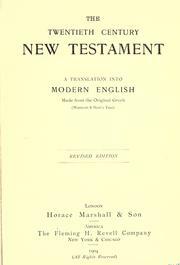 a translation into modern English. Published 1904 by F.H. Revell in New York .